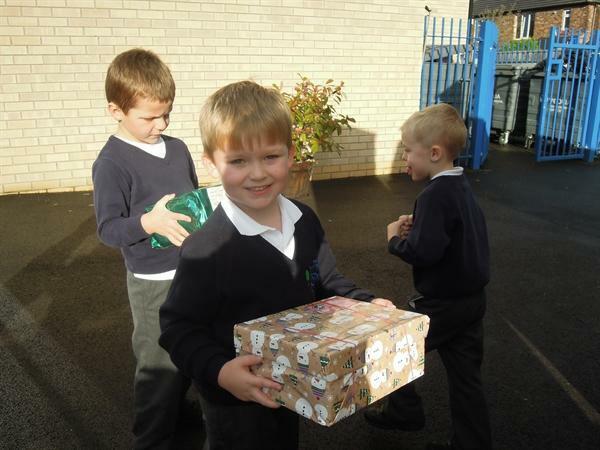 A huge 'thankyou' to all our children and parents for sending in their shoeboxes. 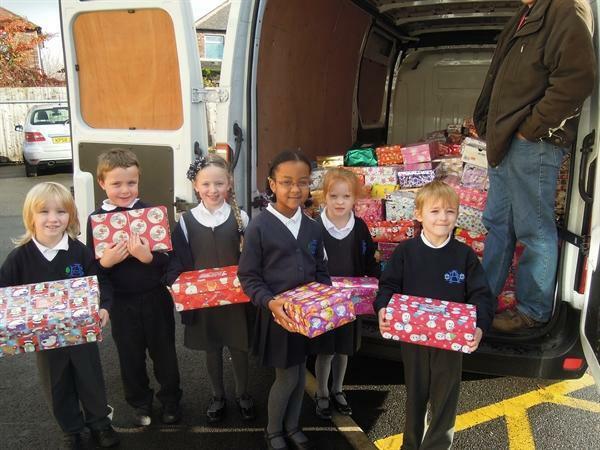 We were able to send 136 shoeboxes to the 'Operation Christmas Child' appeal. 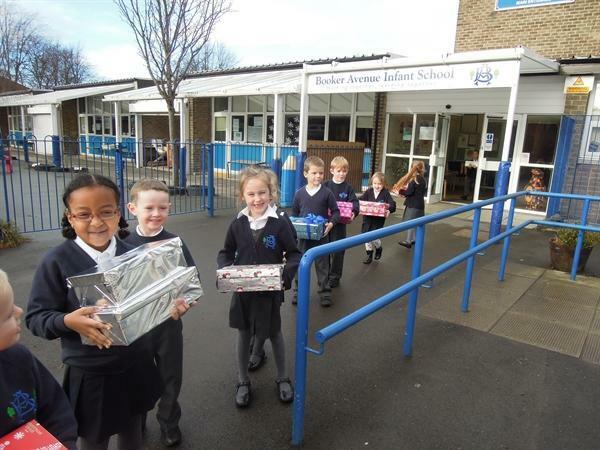 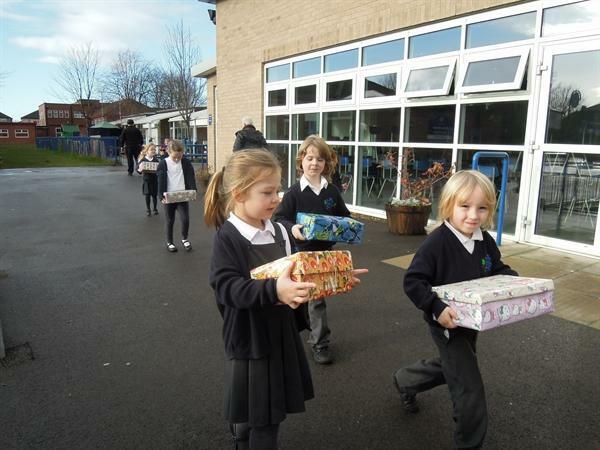 Take a peek at the photos of our children seeing the shoeboxes safely on their way to help other children around the world.